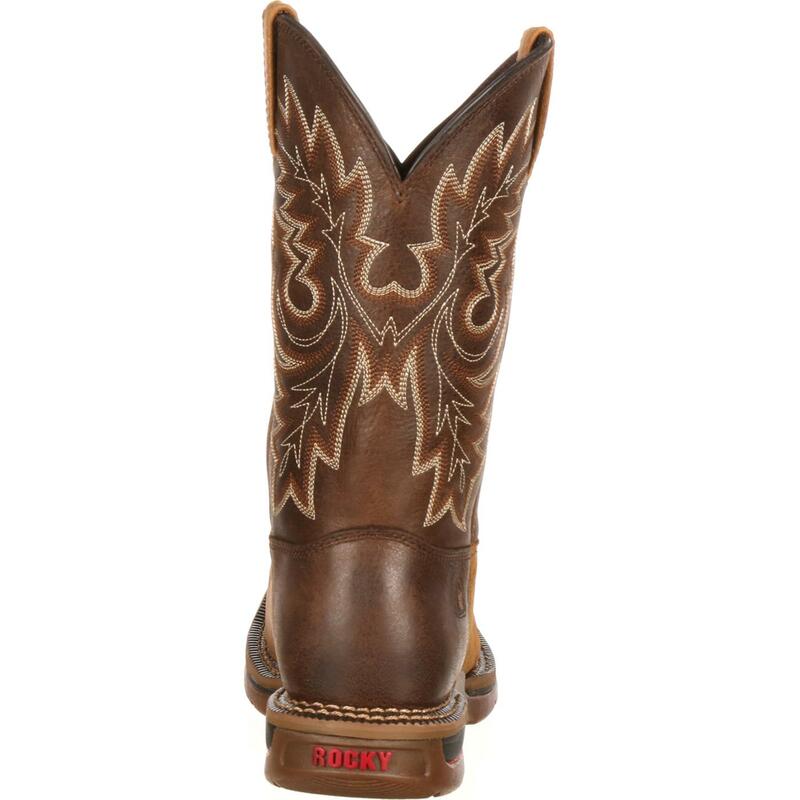 The Rocky® Long Range Carbon Fiber Toe Western Boot boasts the traditional style to suit your look, while enhancing your experience with high-tech features for comfort and support. Safety is integral to the success of your day. 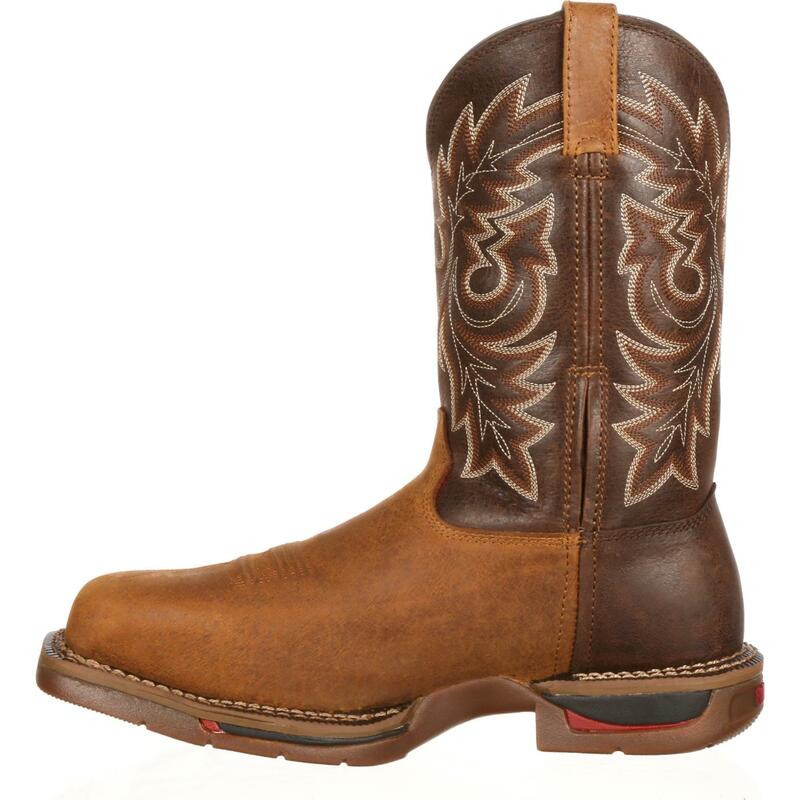 This men's cowboy boot meets the ASTM F2413 protective toe and electrical hazard standards, so can feel stress-free about risks of the trade. 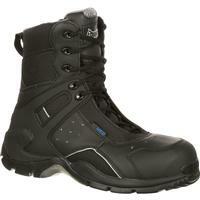 The Long Range rocker heel and square toe give you solid protection against rough terrain. With 11 inches of high-quality coverage, you can conquer any environment and enjoy the time you spend. 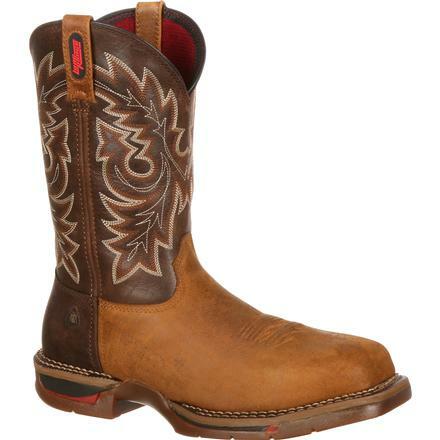 Rocky kept durability at the forefront of its design. 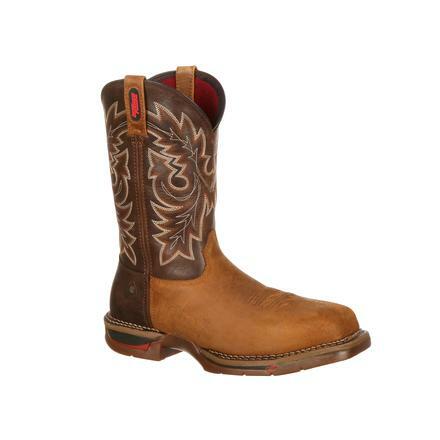 With Goodyear® welt construction, triple-stitched construction and double-row welt stitch, you can be sure your western work boot will last the test of time. 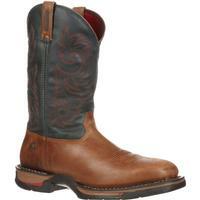 Proprietary Long Range leather adds even more reason to trust the strength of this empowering men's boot. Comfort is key to productive, pleasant work. 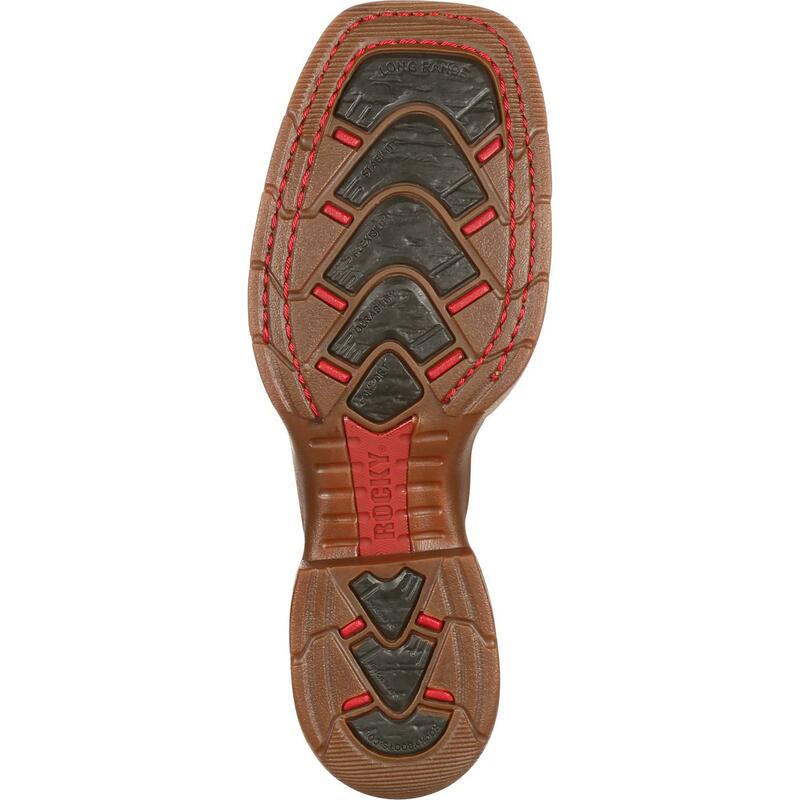 The Long Range X outsole system of 10 peak performance components is a strategic set of technologies to maximize how cozy and capable you feel. 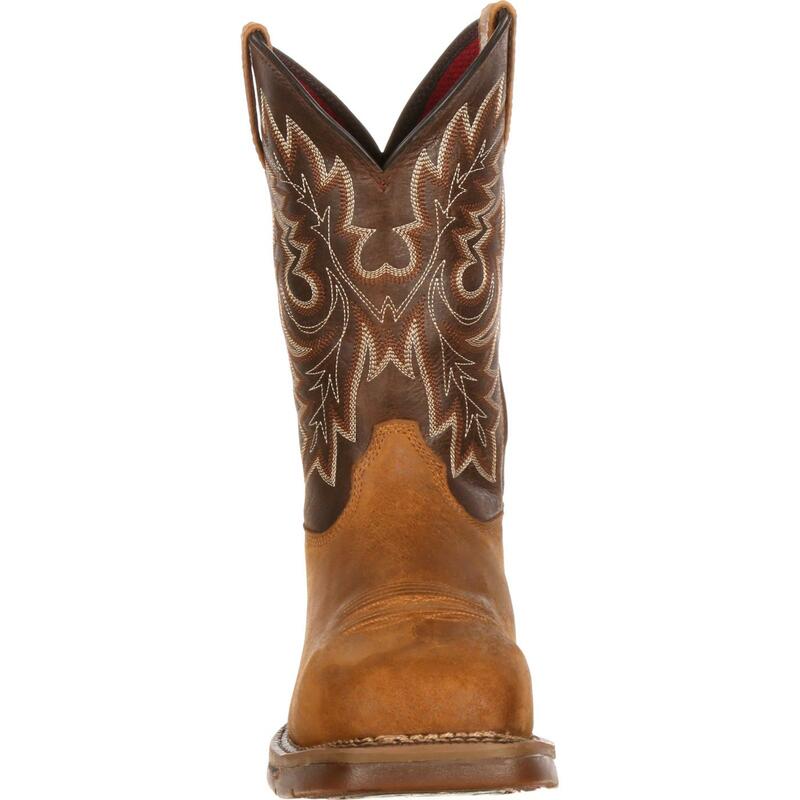 Feel empowered at your very foundation" your foot. 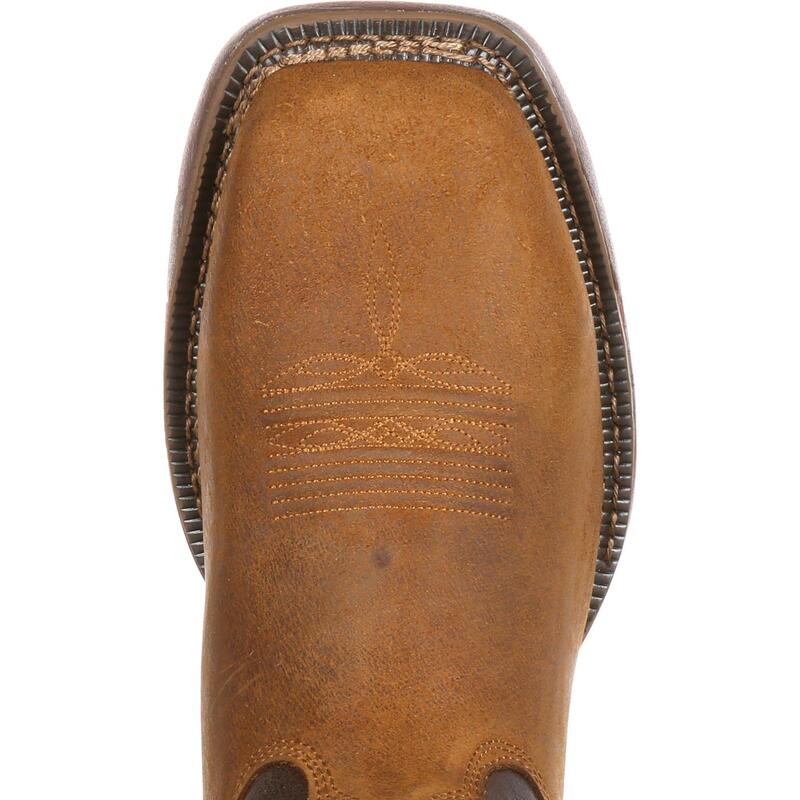 Rocky incorporated the Long Range removable dual-density footbed for additional relief and odor-resistance. Your feet can feel more than comfortable they can feel fresh! 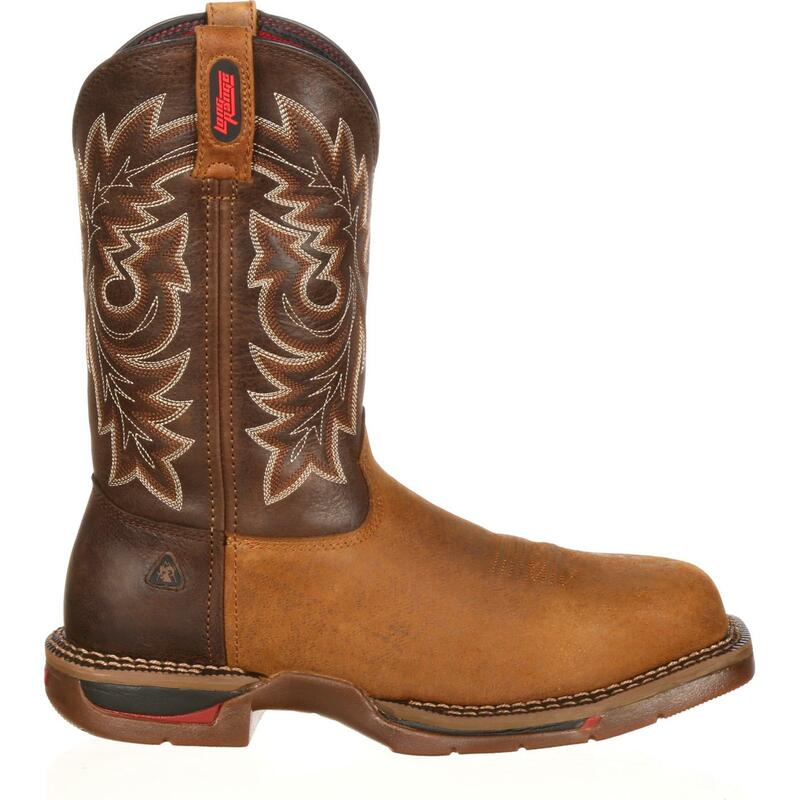 A Dri-Lex® Eco lining complete with moisture management enables you to take on wet settings worry-free. And when the adventure ends, waste no time tugging at a boot you have to harm to remove. 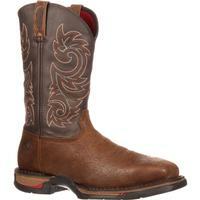 An Expansion Fit Seam and convenient pull loops allow you to slip this boot on and off with ease. If you're after a rugged western boot that'll let you make the most of a lifestyle you love, the Rocky Long Range Carbon Fiber Toe Western Boot is equipped to accommodate.